When you decide to create a website, you may choose either a ready-made WordPress theme, or you could code almost from scratch using PSD templates. However, there’s one more option you might care to consider – use an HTML template to create your website. 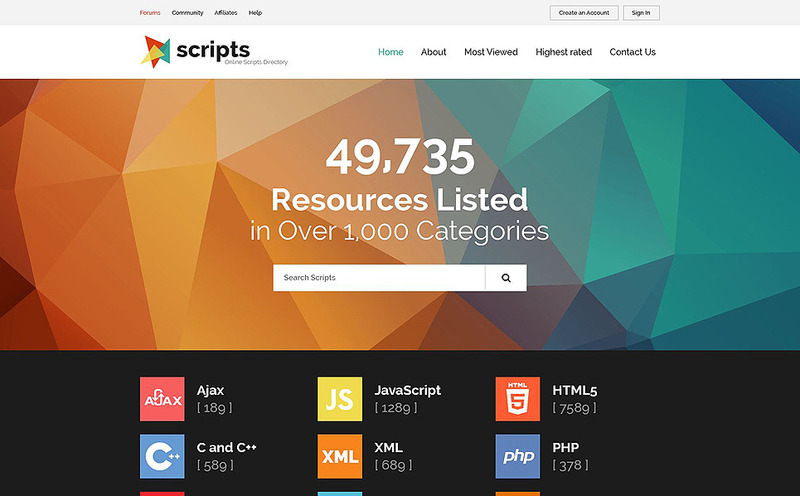 What we offer here is a list of 15 material design HTML templates for your projects. Material design used to be one of those most-argued-about and controversial web design trends. At the outset, many people didn’t believe it would survive as a trend. Majority of those claimed it looked too artificial, it looked deliberately simple and a bit plastic. However, it was the simplicity of the user experience below the surface that they didn’t notice. It was a trend of the future, where artificial intelligence was supposed to rule. By nature, a human is quite conservative to changes, so it was no wonder this new arrival in graphic development wasn’t entirely welcome. Nevertheless, it gained its audience quickly. Time has passed, and even those who used to be fans of skeuomorphism, became used to material design and, actually, found it quite fascinating. Like any true love, the qualities of the trend emerged later, and they finally realized how beautiful and easy-to-perceive this trend was. Now that material design is no longer something new to us, we can see the key advantages of it. What does it do? It creates focus, it channels your attention. You don’t get side-tracked by superfluous design items and your eye sees the vital information, which is achieved by employing deliberately large-scale typography and bold colors. Using a material design template, you may incorporate loud images, and not be afraid that your website design will appear overloaded. 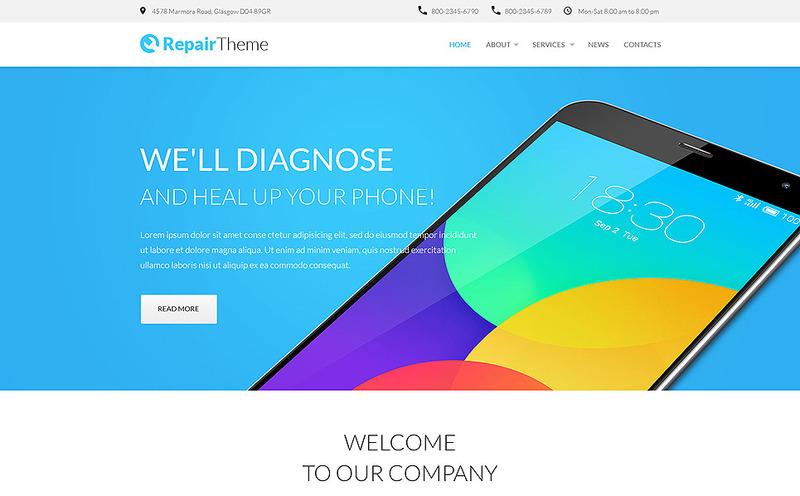 The broken glass effect and a combination of brightness and colors – this is a perfect HTML template for a website which needs to be appealing and memorable. 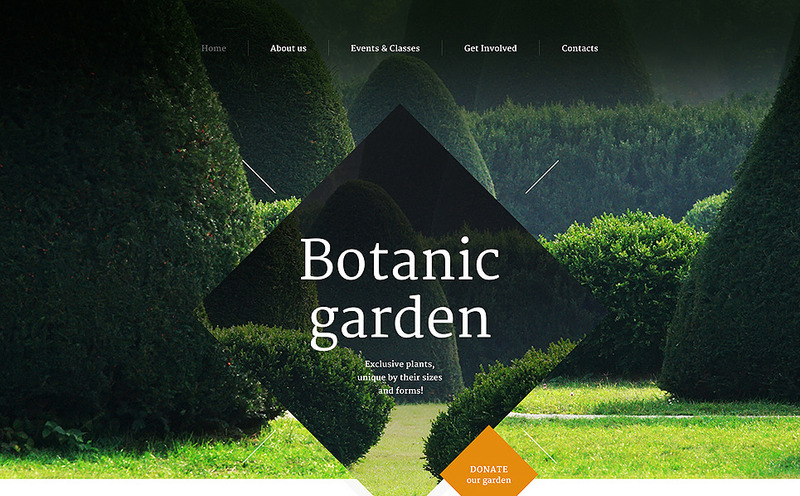 All the necessary web design trends and the main one, the Parallax effect, are included. 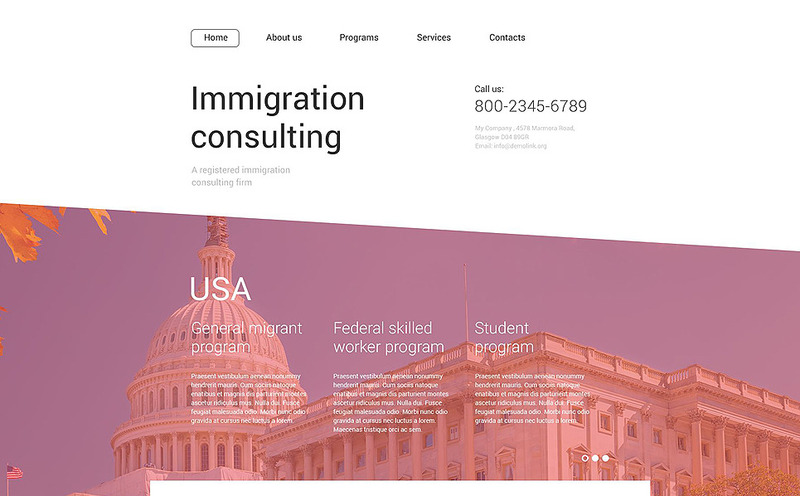 There are not that many diagonal lines applied in web design, which is why a website built on such a template is more likely to attract a visitor’s attention. 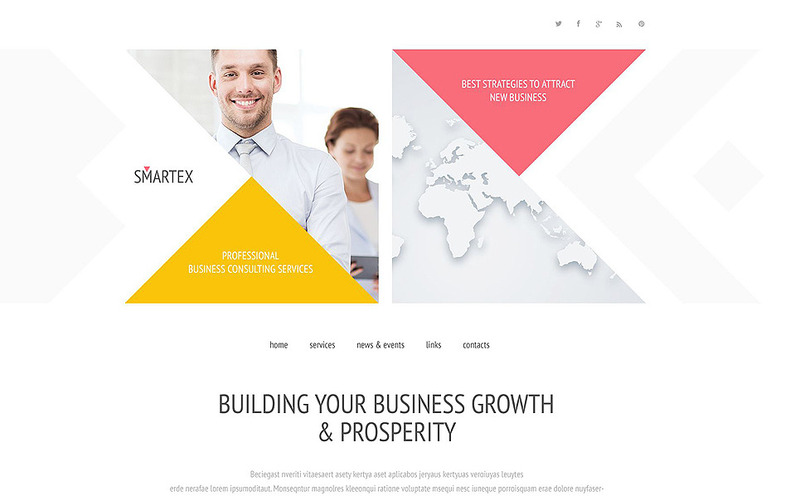 A bright design with triangles, which is attracted to your eye right away, is definitely different from the normal web design we are so used to. Ghost buttons, ‘More’ buttons which pop up, social media widgets, all these tiny things create an impression of an easy-to-use website. This template proves that a design like this may also serve for official business as well. 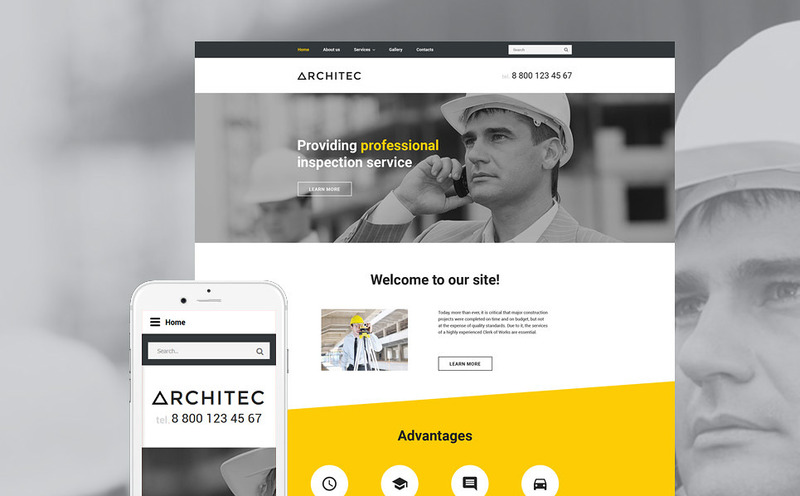 The phone number, which is seen as soon as one clicks on the website, the services placed in special boxes, a testimonials section which makes a website more personal, the color combination which makes your eye comfortable with the overall design – these things could increase conversions to the website that you are about to create. 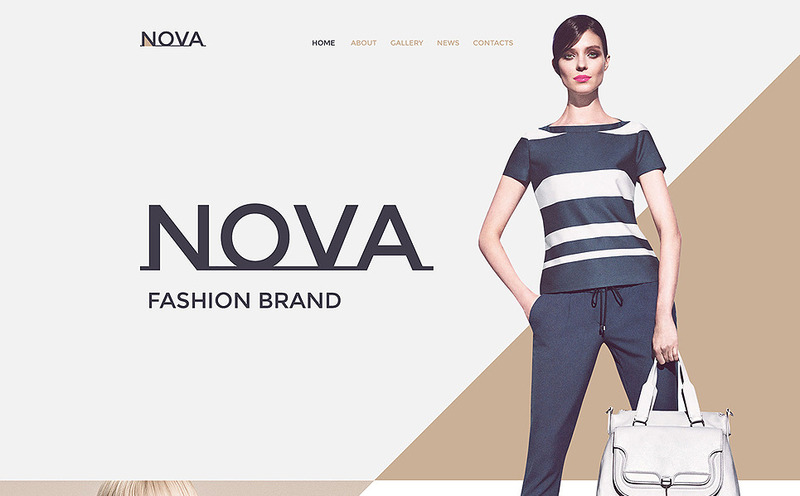 An HTML template which would fit any fashion website or any other project which requires powerful image presentation. Calm colors used in the design don’t distract your customer’s attention but direct it to the info and the images that you need them to see. Violet has always been a beautiful royal color, which is why it’s surprising that it’s not used more widely in web design. Take advantage of the benefits by adopting the color in your design and it will stand out from a long list of trivial websites. Have you ever seen a ghost button turn into a full-colored one? At first you won’t be able to refrain from moving your cursor over the button ‘Learn more’ and enjoying how the colors and transparency change. If you feel that you could use this feature for your project, check out the template. 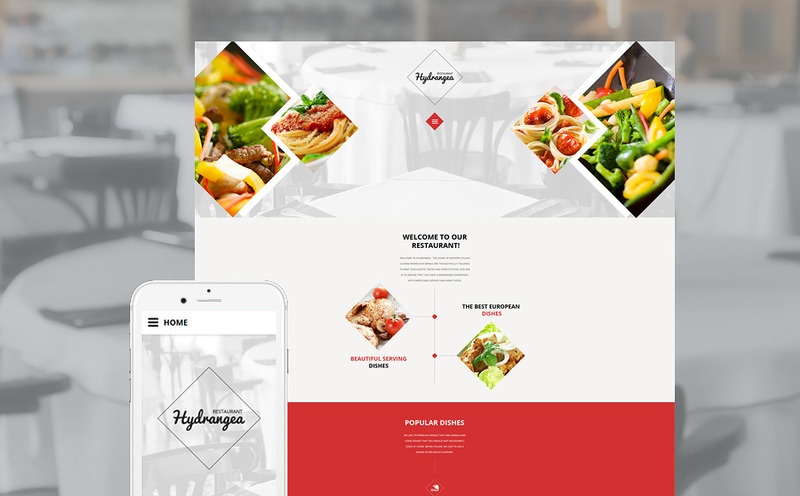 This is one of those colorful appetizing templates which make your mouth water. 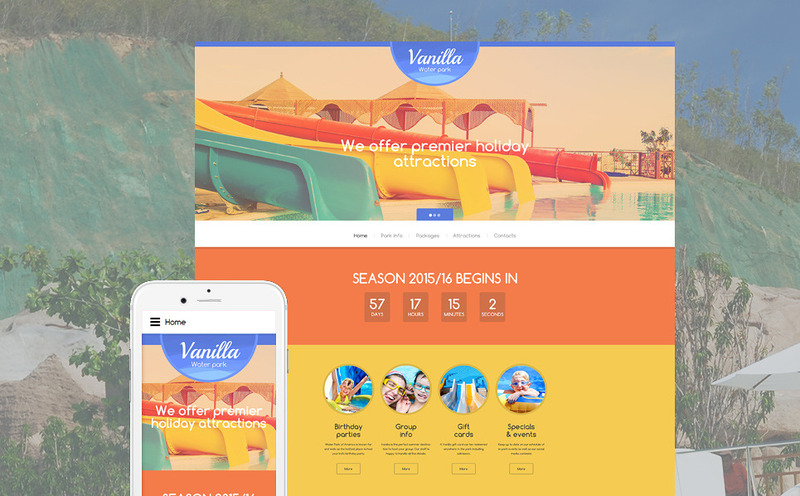 Red, orange and yellow colors are responsible for stimulating the appetite, and an unusual design will encourage your visitors to stay longer and, maybe, leave some positive feedback on the place you are promoting online. A human eye is trained to consider green and blue as the most beautiful colors because they are natural. Remember how relaxing it may be, you walking out of the office in order to experience some fresh air, and then park greenery or a clear blue sky catch your eye? Feels like you could gaze for an eternity at those, so why not use it in your web design? As, nowadays, the motto “The simpler – the better” works, this template could become a great basis for a clean website which could be suitable for many purposes. The color ‘blue’ is supposed to be the most trustworthy one so take a look at the template yourself and decide if this design does, indeed, raise the level of trustworthiness. 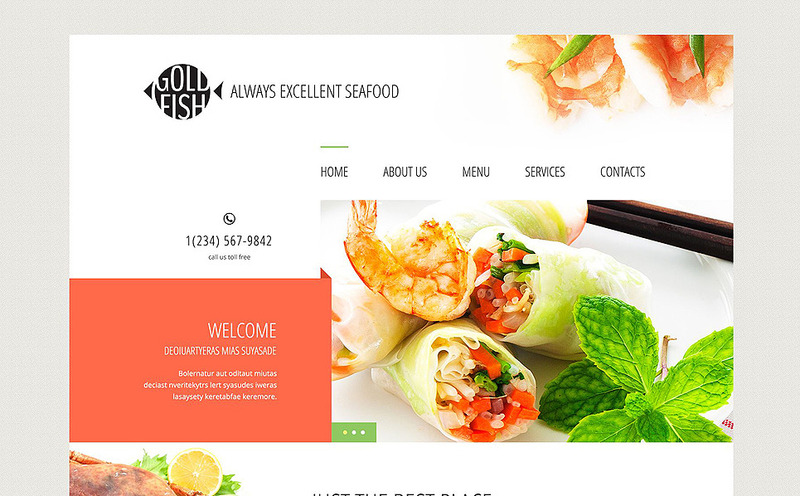 This is an ideal HTML template for excellent sea food. If you need to showcase images on your website, this template is a great way to do it. You don’t need to scroll far to get to the bottom of the page. Everything in this template is aimed at evoking appetite, even a “Contact” section with social buttons. You may also appreciate this template which is a tribute to material design. Create a beautiful website, raise trustworthiness with a testimonials section and encourage visitors to share the content on your website via social buttons. Material design is about giving hints to the user about where to click and what to read. 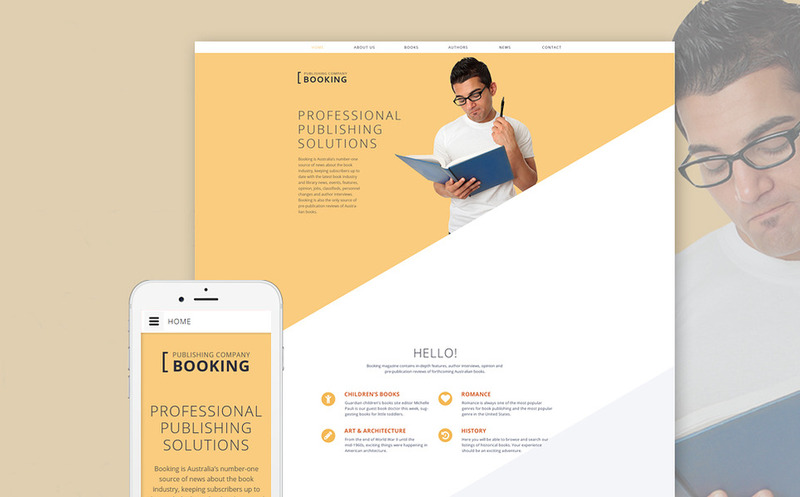 This HTML template is a great example of such a design, you simply can’t help clicking on the “Read more” button, which is not a separate button, but some kind of a continuation of the rhombus. Colorful. Joyful. Easy-to-click. Use this design for any project which is required to stir positive emotions. There’s a countdown feature and a presentation video – everything you need to captivate a customer’s mind in, literally, seconds. 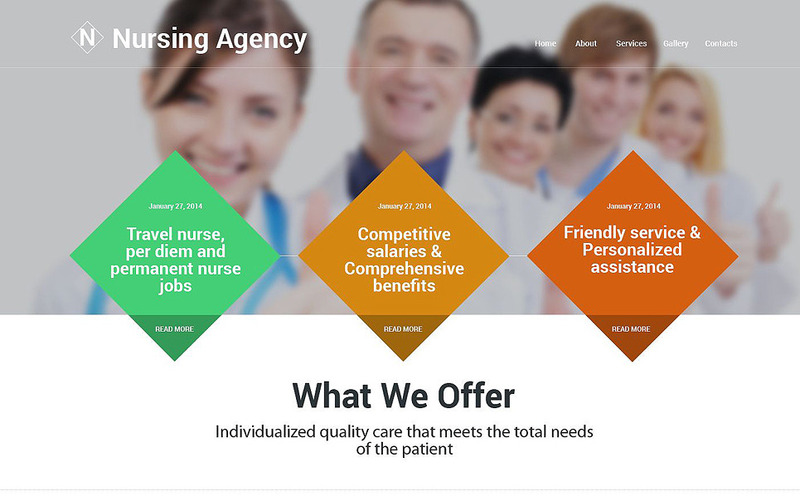 Image slider, Parallax effect, black-and-white color combination, big widgets which turn around when you hover over them; this is not a full list of the features which are included in this HTML template. 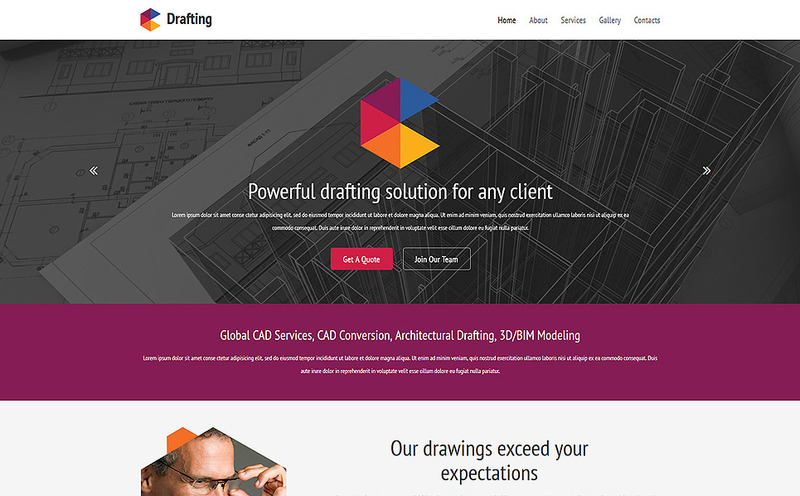 Do you feel it could be the design for your website? Check it out! A handful of sites do seem quite appealing but I’m not sure if I’m ready to fully embrace material design yet. I love how standards have come about and uniformity is made much simpler but at the same time, all sites might start to converge on a simplified standard look and feel…which would sort of make the web pretty bland in my opinion.